HTHP editorial board member Renato Cotta has been appointed President of the National Agency of Nuclear Energy of Brazil (CNEN). This governmental institution is both the regulatory agency and the research complex for nuclear energy of Brazil, comprising 14 research units and employing more than 2,500 researchers. Cotta is a professor at the Polytechnic School of the Federal University of Rio de Janeiro (UFRJ) and Alberto Luiz Coimbra Institute for Graduate Studies and Research in Engineering (Coppe). 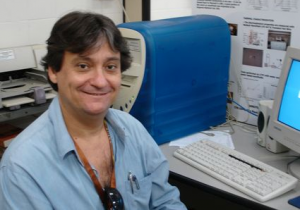 At UFRJ, he is also International Cooperation Coordinator of the Interdisciplinary Center for Social Development (Nides) Technology Center (CT-UFRJ). The editors and publisher of HTHP wish to congratulate Renato warmly upon the assumption of this very high office and wish him the best of success in his new position. Click here for the announcement of Cotta’s appointment (in Portuguese).